United says its pledge to reduce greenhouse gas emissions by 50 percent from its 2005 level equals taking 4.5 million vehicles off the road each year, or the total number of cars in Los Angeles and New York City combined. “At United, we believe there is no point in setting challenging and ambitious goals without also taking tangible steps towards achieving them, especially when it comes to securing the health of our communities and our planet,” said United CEO Oscar Munoz. The airline will continue to invest in the company’s ongoing environmental initiatives to support this commitment. It pledges to expand the use of sustainable aviation biofuels, welcome newer, more fuel-efficient aircraft into its fleet and implement more operational changes to better conserve fuel. “While we’re proud to be first U.S. carrier taking such an ambitious step, it is a distinction we look forward to sharing as the rest of the industry catches up and makes similar commitments to sustainability,” said Munoz. To celebrate, on September 14 United operated Flight 44 from its hub in San Francisco to Zurich, Switzerland with the carrier’s most fuel-efficient aircraft, the Boeing 787, powered by a blend of sustainable aviation fuel supplied by World Energy’s California-based AltAir Fuels. The airline used 16,000 gallons of biofuel at a 30/70 blend with conventional jet fuel for the flight to Zurich, representing the longest transatlantic flight to date – and longest by a U.S. airline – powered by a biofuel volume of this size. United has sourced more than two million gallons of sustainable aviation biofuel since 2016 and is responsible for more than half of the airline industry’s commitments to biofuel. 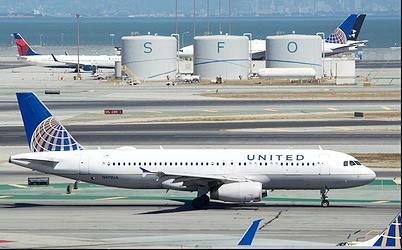 United announced its new commitment in San Francisco at the Global Climate Action Summit last week, joining a growing roster of corporations that are reducing their heat-trapping greenhouse gas emissions. United Airlines is not alone. Companies across the United States are filling the void left by their national government. Almost three years after world leaders unanimously signed on to the Paris Agreement, and with time running out before greenhouse gas emissions must peak, there is an unprecedented rise in the number of companies everywhere committing to reduce their emissions to levels needed to prevent dangerous global warming. Ninety American companies have joined the Science Based Targets initiative, more than any other country and ahead of Japan with 64, the UK with 51, France with 35 and India with 24. Nearly a quarter of the U.S. companies (24%) are in the Fortune Global 500, with over half (50) signing up since June 2017, when President Trump announced the United States would withdraw from the Paris Agreement. Apparel company PVH, which owns the Tommy Hilfiger and Calvin Klein brands, engineering firm AECOM and cloud computing company Salesforce are among the latest U.S. companies to commit to set a science-based target. Over 130 new corporate entities have made science-based emissions reduction commitments since the start of 2018, a 39 percent increase from the previous year. The combined market capitalization of all companies that have joined the Science Based Targets initiative is nearly USD$10 trillion, comparable to the NASDAQ stock exchange. Seventeen percent of Fortune Global 500 companies have now committed to set science-based targets, with new joiners this year including: French tire manufacturer Michelin, U.S. food producer The Kraft Heinz Company, global brewer AB InBev and Japan’s Yamaha Motor Company. These companies joined the Science Based Targets initiative, SBTi, a collaboration between the Climate Disclosure Project, CDP, the United Nations Global Compact, World Resources Institute and the World Wide Fund for Nature, WWF. 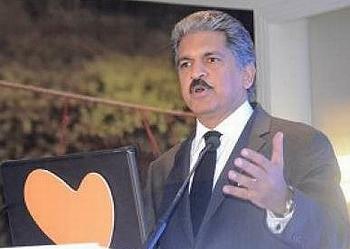 Anand Mahindra, CEO of India’s Mahindra Group, announced the new pledges at the Global Climate Action Summit in California. Over 480 global corporations, from 38 countries, have now committed to set emissions reduction targets in line with climate science and the goals of the Paris Agreement. They include companies from the economy’s highest-emitting sectors, many of which will have to undergo radical transformation in order to meet their low-carbon goals. Major Indian cement manufacturer Dalmia Cement, whose sector is responsible for more emissions than Japan or Canada, last week joined the ranks of companies committed to setting a science-based target. Dalmia Cement aims to be carbon negative by 2040, he said.